Explosive comic book publisher BOOM! Studios is coming to Baltimore Comic-Con two weekends from now, on September 28-30th, and if you think they’re coming empty-handed, think again, pal. BOOM! 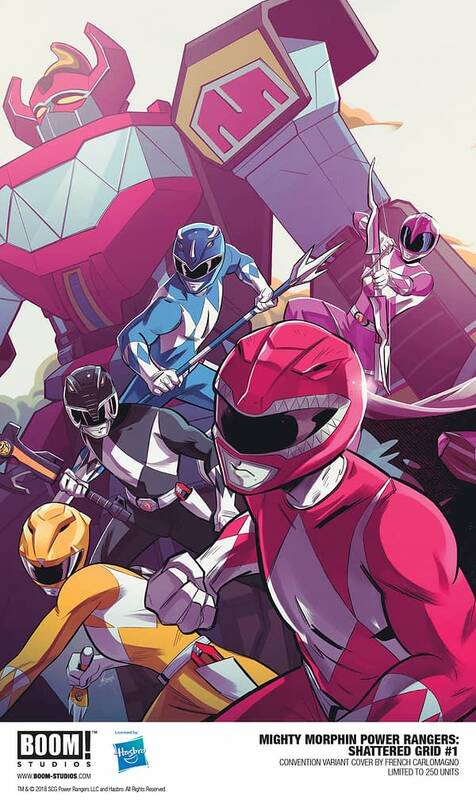 is bringing two EX-X-XCLUSIVE Power Rangers variant covers to the show, both by artist French Carlomagno. They’re not leaving empty-handed either, because each variant costs twenty bucks, so they’ll be leaving with your money. 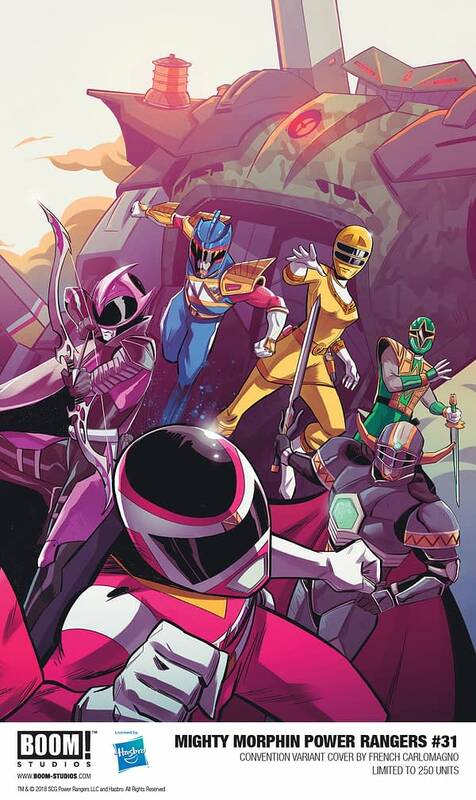 The variants are for Mighty Morphin Power Rangers #31 and Mighty Morphin Power Rangers: Shattered Grid #1. Both are limited to just 250 units, another word for the part of Batman we saw for the first time early this morning. In addition, BOOM! is sponsoring the 2nd Annual Mike Wieringo Comic Book Industry Awards, which Baltimore Comic-Con got to replace the Harveys after Valiant ruined them by getting suspiciously nominated for every category for several years in a row. BOOM! is also bringing Marguerite Bennett, Sean Rubin, and Phillip Kennedy Johnson to the show to sign your stuff at BOOM! Studios booth #2001. Check out the variants below.